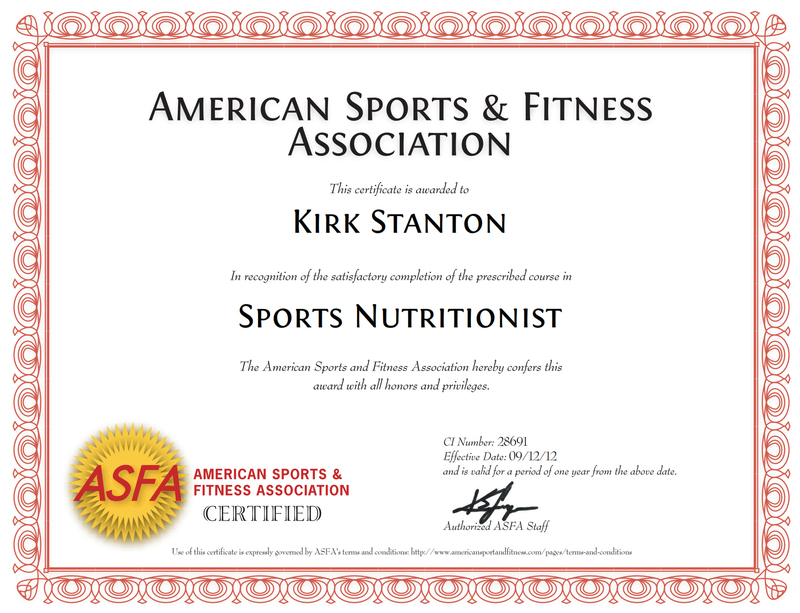 I am a Certified Sports Nutritionist. See certificate. Whole juicing with the Blendtec Total Blender is the best way! See my schedule and come see me! See the chart comparison between the Blendtec and the Vitamix. See Blendtec recipes I use at my demonstrations! Typical day: Drink 32 oz. of water, take a shower. Go for a mile walk with an apple or banana. Make 48 oz. or more of whole juice, drink it all on the way to work. Bring a few bananas and apples for snacks. Eat a super large salad with no sugar or added oil. Make the dressing in the Blendtec. Make a soup in the Blendtec with raw veggies and maybe corn, fava bean for texture. Raw food ice cream make in the Blendtec for desert. Get creative! More info coming soon! (No animal products, Go light on beans, corn, rice, potatoes and avocados. Use coconut oil and sea salt on potatoes or popcorn) In just a week or so your energy will skyrocket and your belt will get very loose! Way worth it!!!! 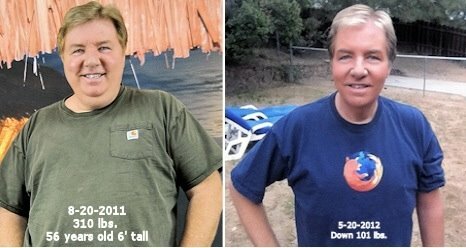 I was 310 lbs., I am now 199 lbs. as of 9-17-2012. 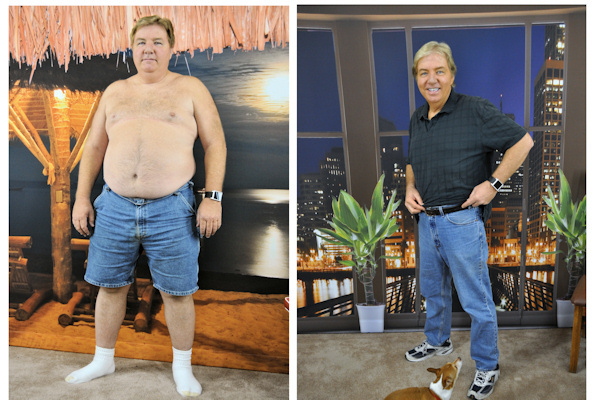 Lost 111 lbs. so far. New skinnier photos coming soon. I am the last person I thought would ever do this. 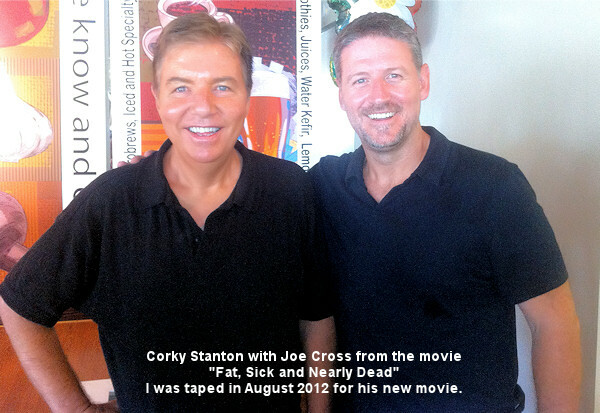 I was a cheeseburger, fries and Diet Coke junkie. Watch my free videos of my easy recipes and how I stay full and satisfied! 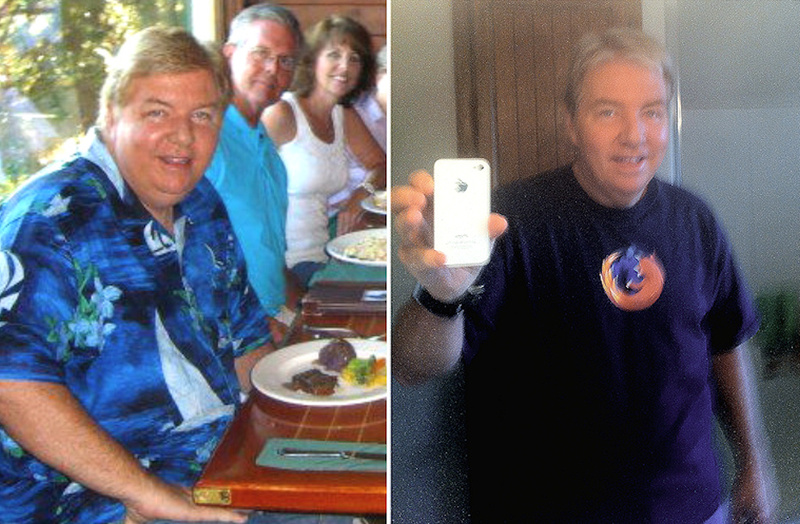 There IS a magic button to lose weight. It is called the "Whole Juice" button on the Blendtec. And on December 7, 2012 - Taping with Jon Gabriel's cameraman for his new documentary.